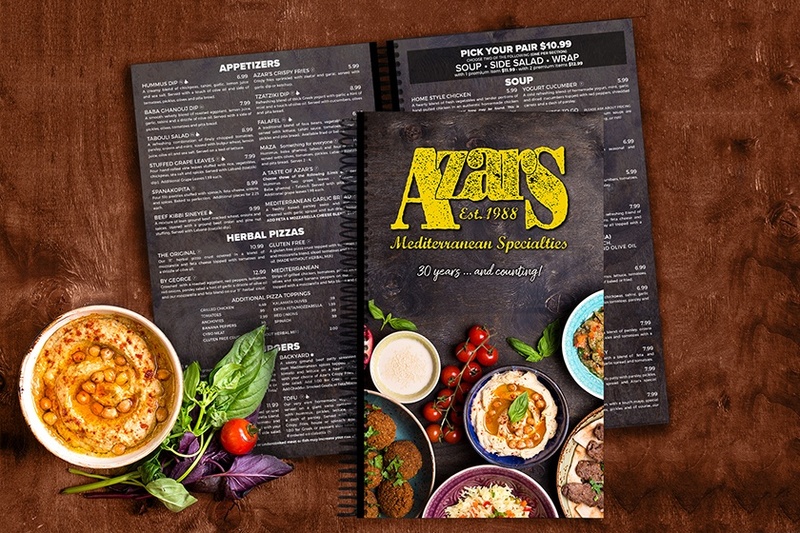 Menus come in all different shapes and sizes and are custom created to fit a multitude of business needs to present all of your goods or services in one convenient place. 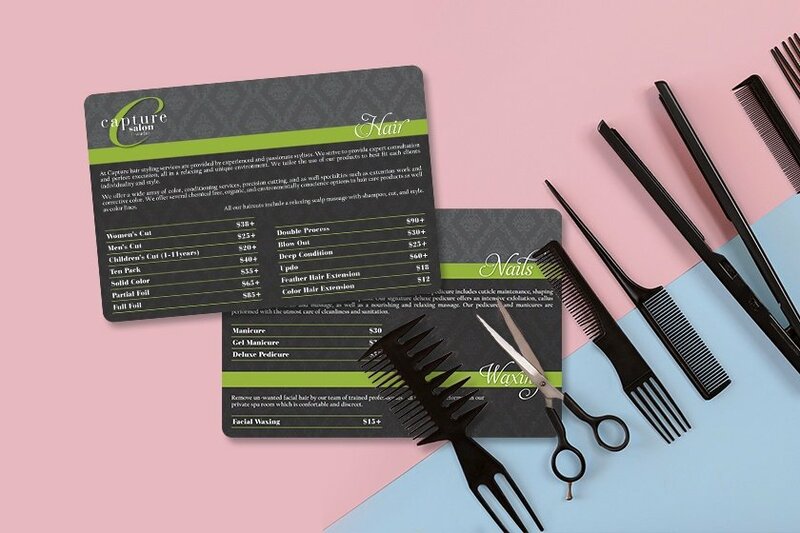 Menus for bar and restaurants, spas and salons, wedding or special events and so much more. 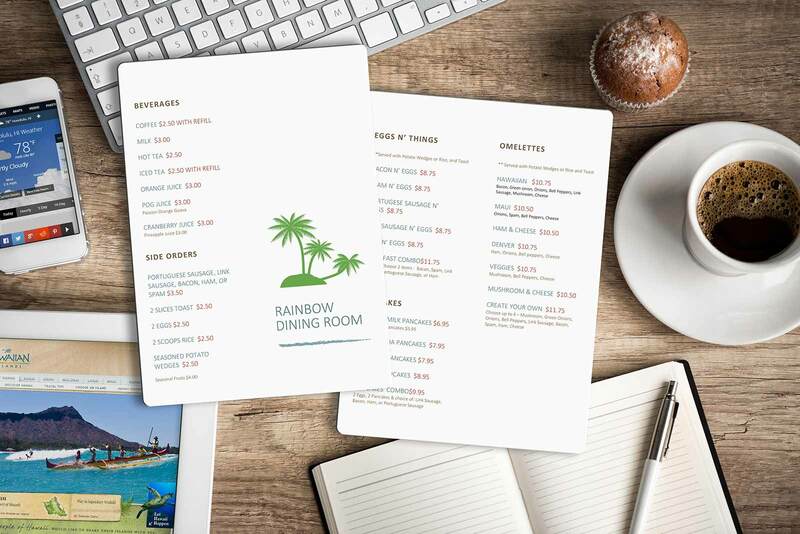 Menus should be printed similar to business cards, they should be brand consistent with colors, logo, fonts and your business information and on durable lasting material like plastic. 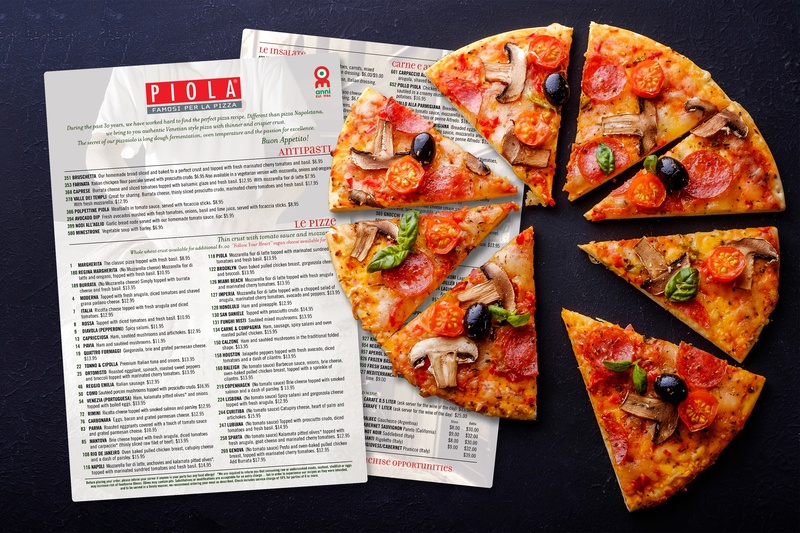 Our project consultants are well versed on the different types of menus available and know just how to help bolster your restaurant marketing. 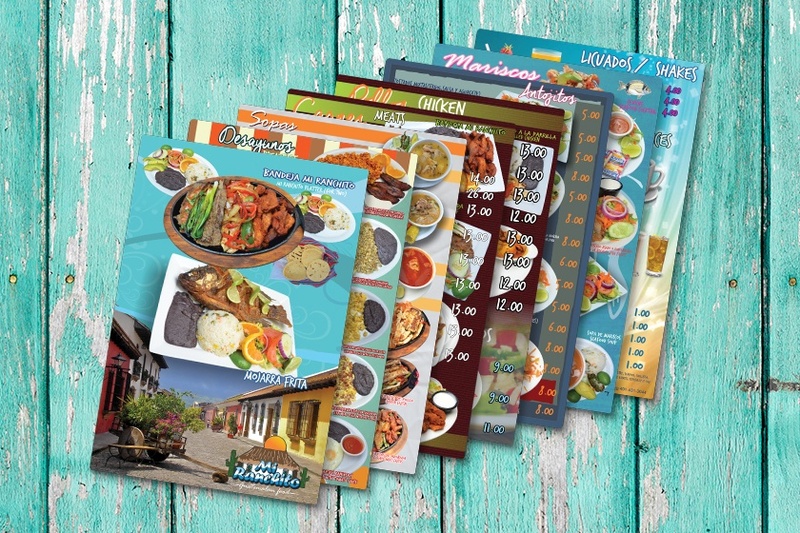 We can do flat menus, spiral bound menus, tabletop menus or can explore with you bi-fold and tri-fold options. 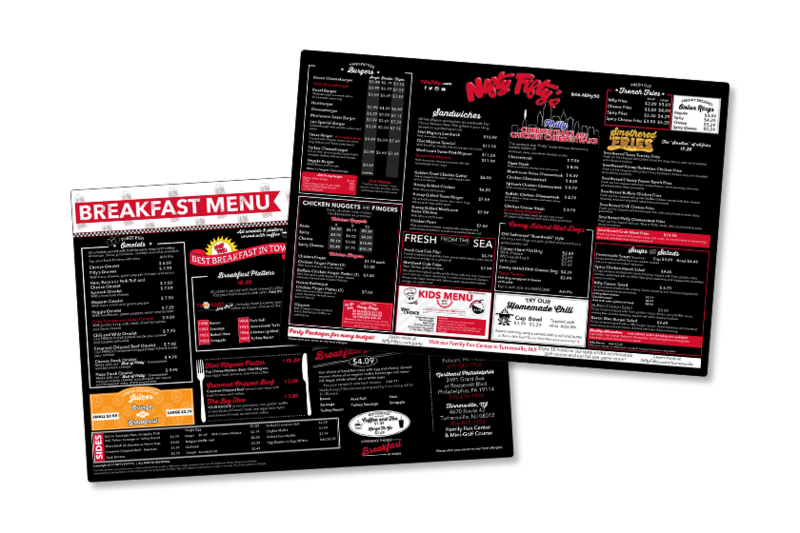 We specialize in custom printing, which allows your menus to last for a long time. We use plastic, which does not tear or separate at the edges, unlike paper or laminated paper. 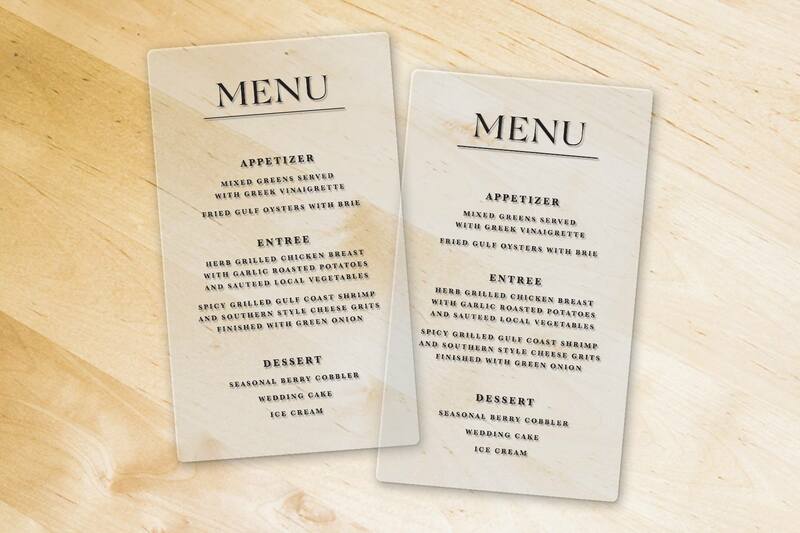 Plastic also makes your menus waterproof from spills which can occur frequently in restaurants. 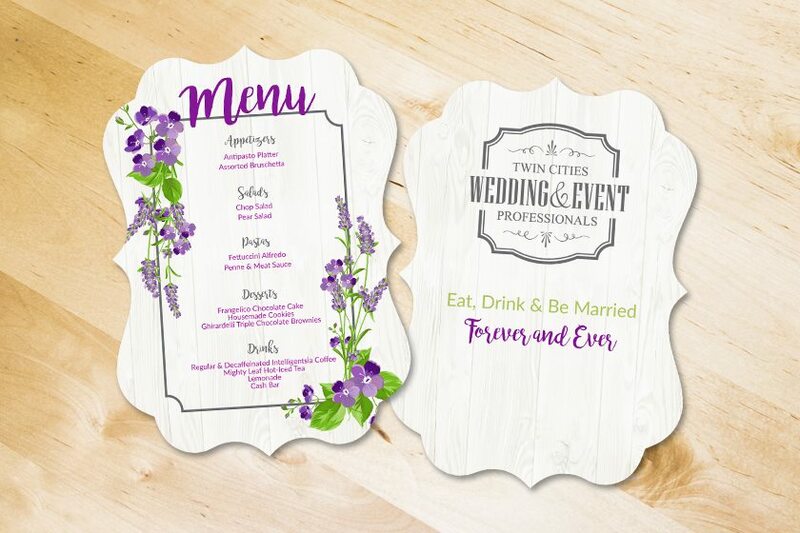 Feature the meal options your guest have at your wedding, we can design them to match your wedding theme, colors, flowers and can custom shape them to be unique and special just like your relationship. Speak with one of our wedding consultants today. 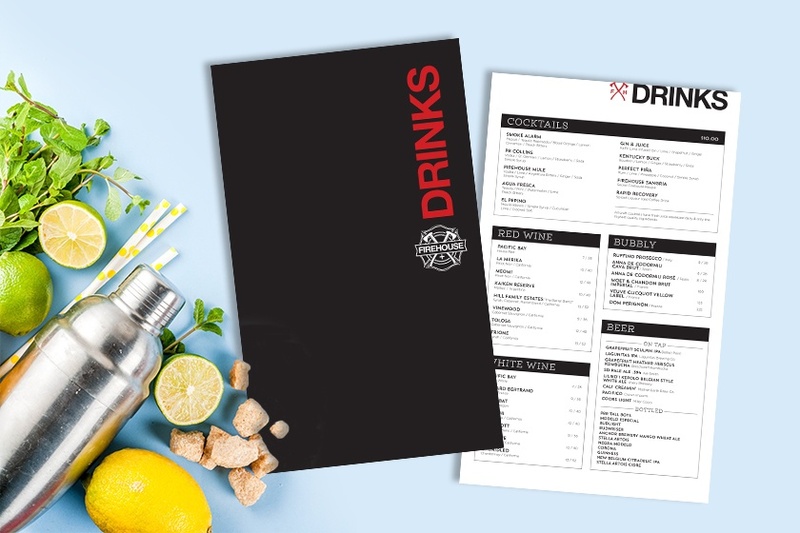 If you run or own a bar you know that your drink menus are likely to get wet. 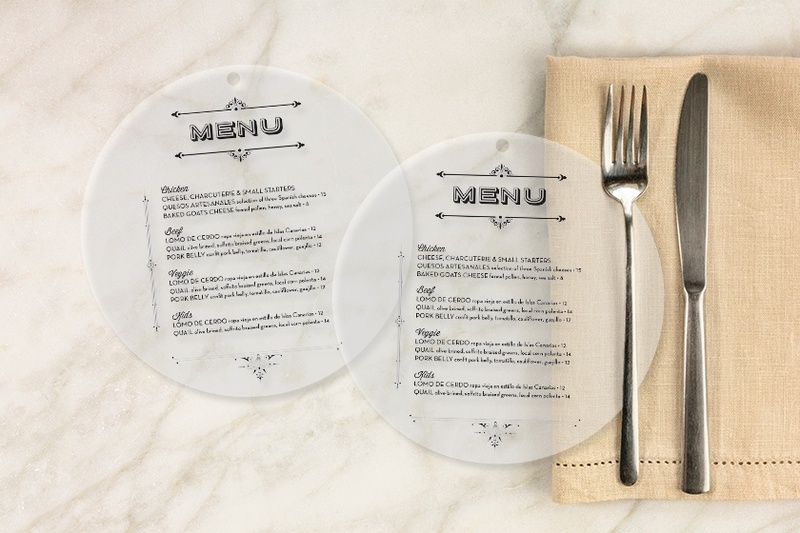 Plastic makes your menu waterproof and prevents water damage. 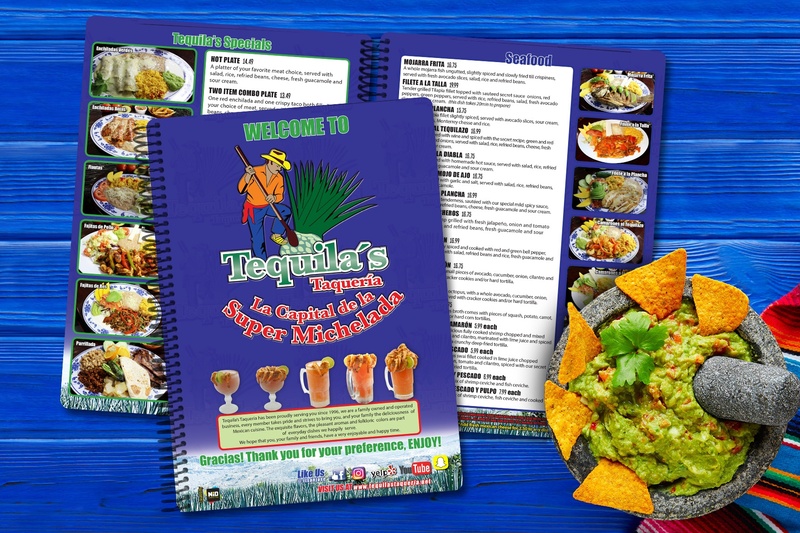 A plastic menu can also be used to feature happy hour specials or upcoming special events you want to promote. 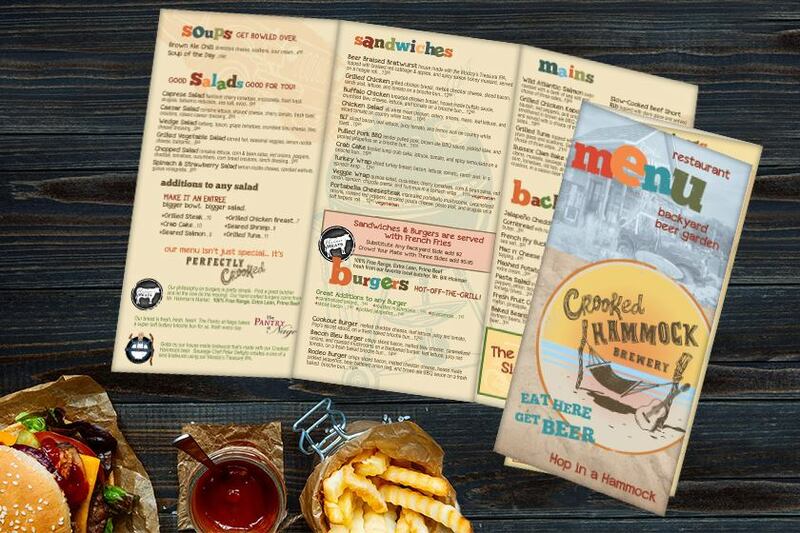 Need Artwork and Design for your Menu? If you do not have artwork and content design completed this can be a lengthy investment of graphic design time. 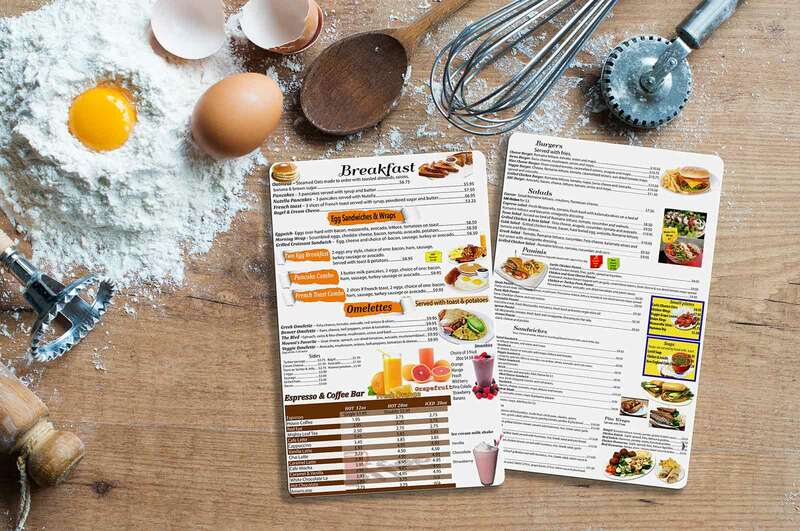 The full creation of a menu is 3 to 5 hours minimum, depending on the number of pages required. Do not worry! Our graphics team is here to assist you. 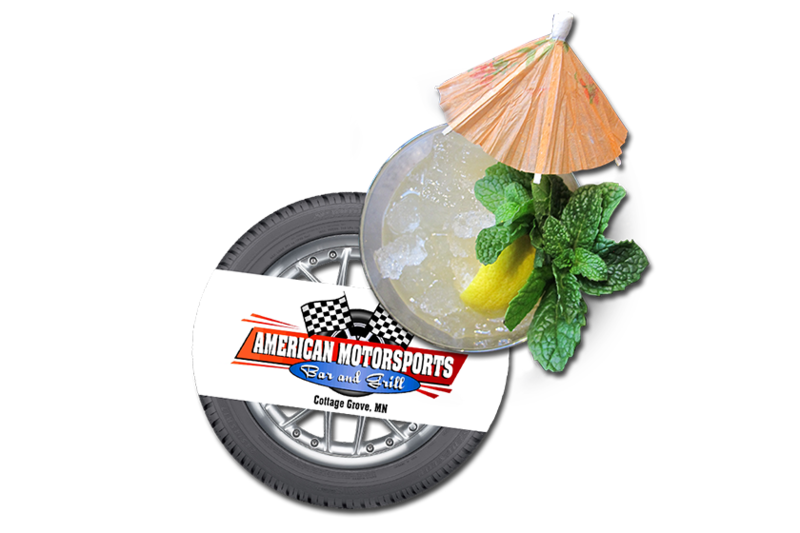 Our menus are not limited to a certain shape or size, let us know what you envision and we will help make it a reality! Circle menu, no problem! 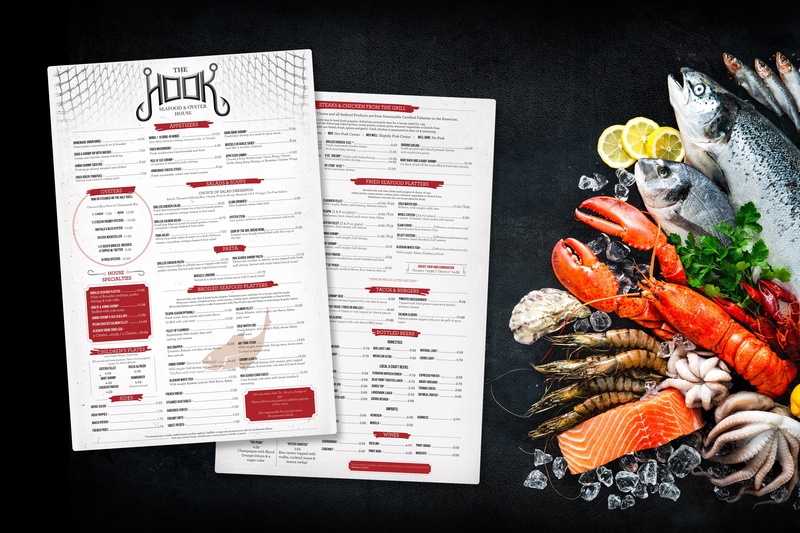 Get creative with us, or let us come up with ideas to present to you..
Who's getting amazing Menu Designs lately? 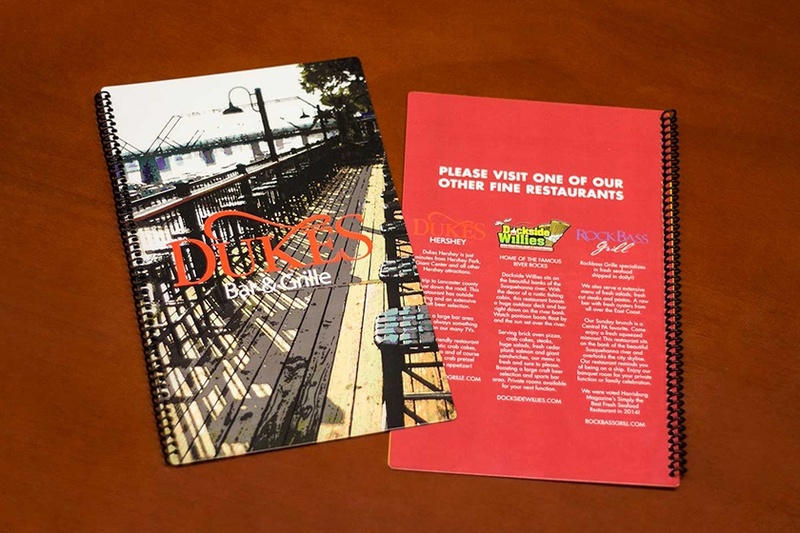 Visually appealing and dependable plastic menus are our specialty, here's how a few of our recent customers are using their custom menu they received from Plastic Printers in their business. 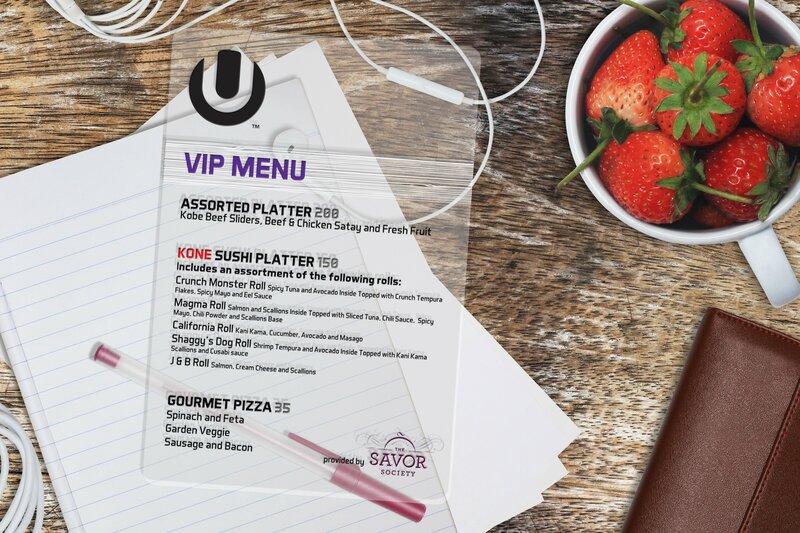 Facundo A. uses his menu design to show his clients what they have to offer in a unique and enticing way. The spiral binding is made to withstand significant use and gives him enough space to display all of his content. 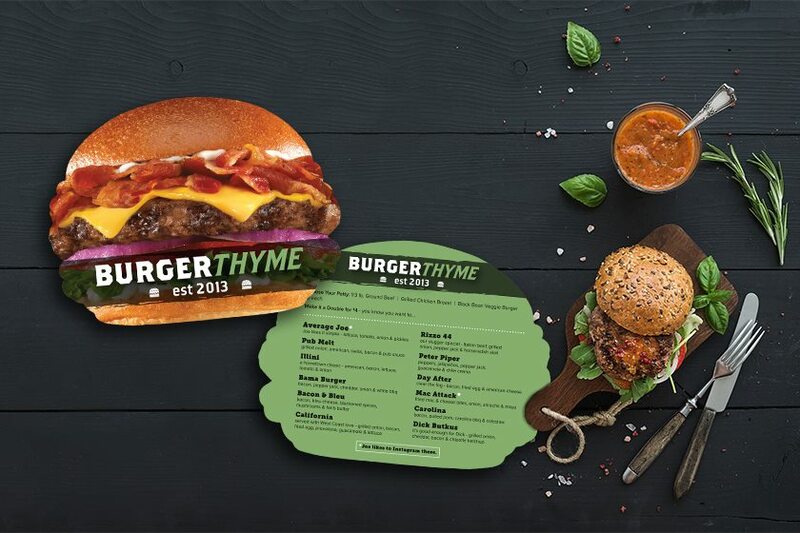 Kelly M. highlights special products and promotions throughout her menu by adding pops of color and emphasizing words. 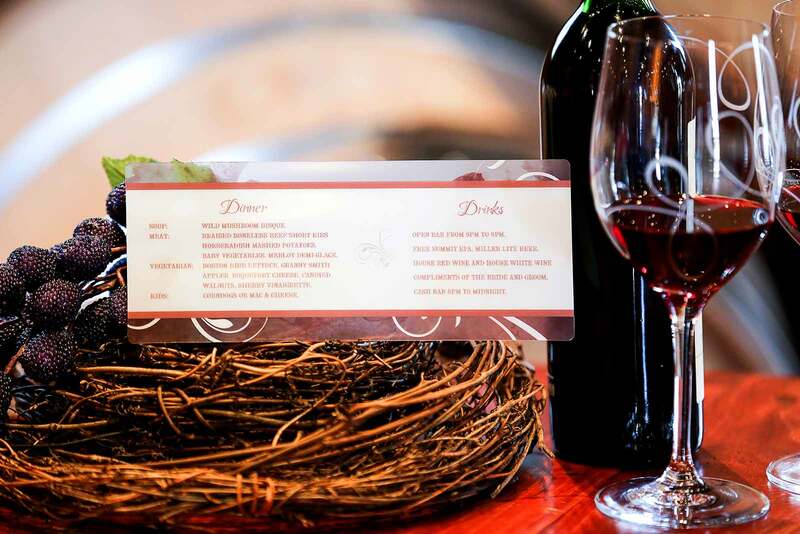 Her menu was strategically designed to showcase what they do best. Little Log House Wedding Venue created an elegant wedding menu sample for guests to view while they are planning their wedding. This gives the couple some menu inspiration, so they can design their own menu for their big day! 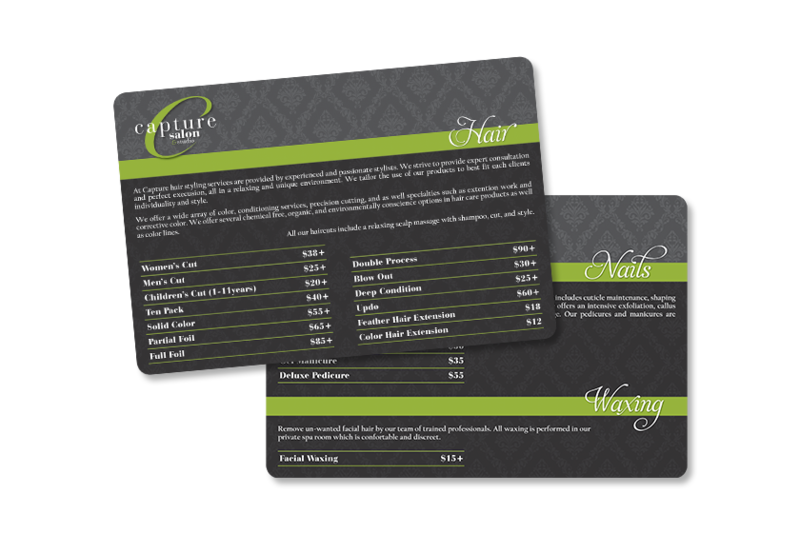 Capture Salon features their hair, nail and waxing services on their menu to inform their clients of their options and prices. They separate each service with a line for a visually appealing look and to make it easy to read. Try not to clutter your content. 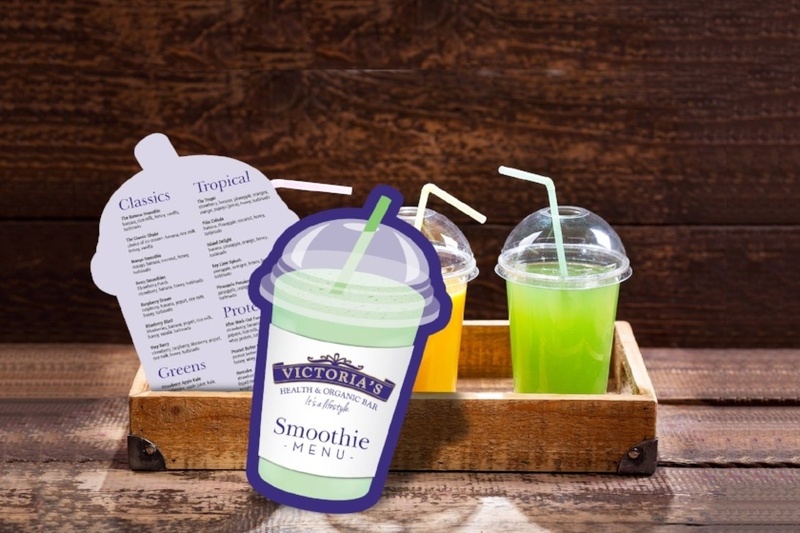 Your text should be evenly spaced throughout your menu to ensure that it is readable and looks professional. Make sure your background images are high resolution, this will prevent your menu from printing blurry. 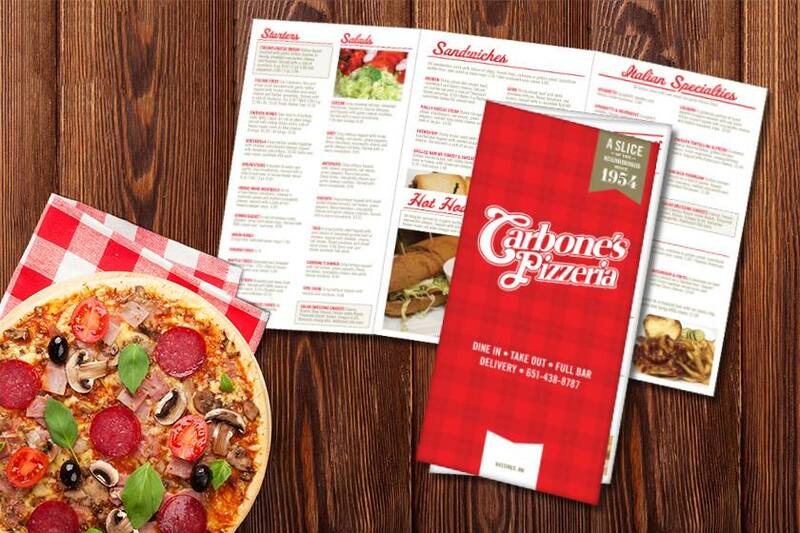 UV coating is highly recommended in order to avoid scratching and assure that your menus last. 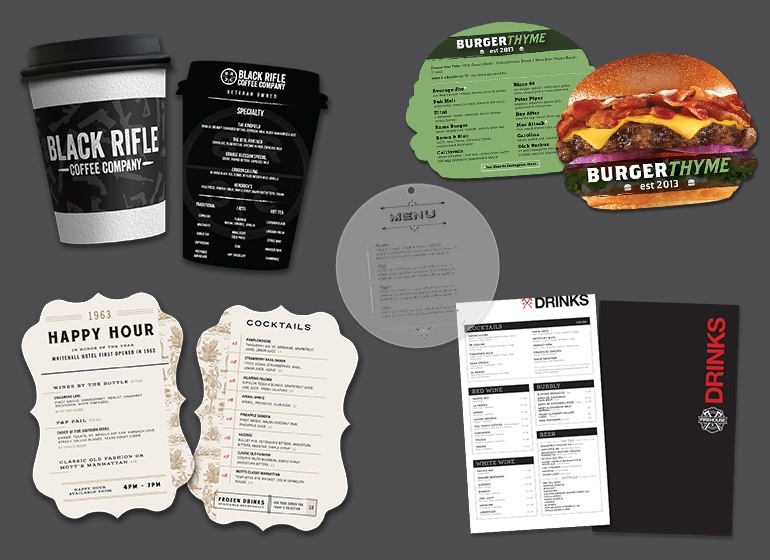 At Plastic Printers our goal is to create a menu design that showcases your products and branding in a professional and noteworthy manner. 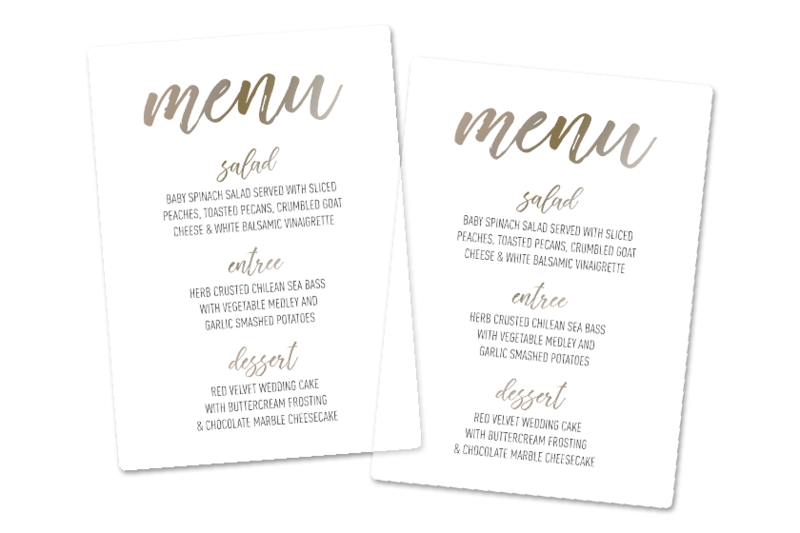 Some of our most popular features include a transparent menu, tri-fold menu, die cut menu and spiral bound menus. 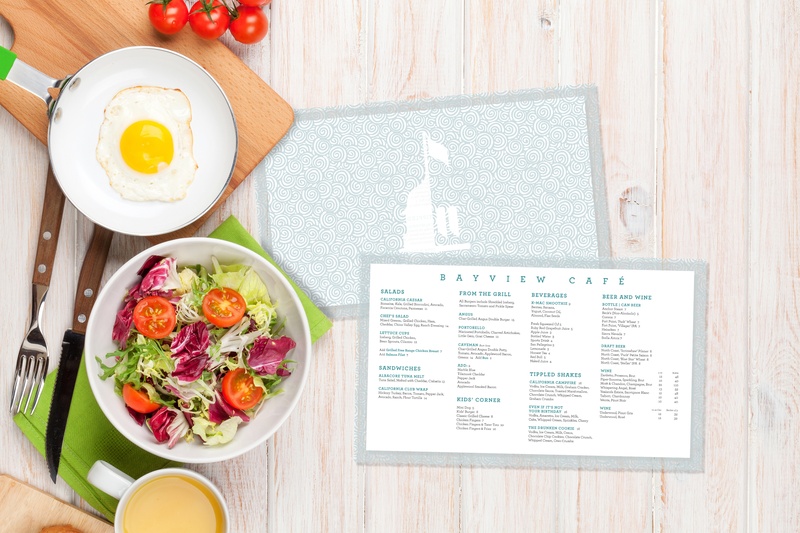 Need a menu in a specific shape, size or theme? 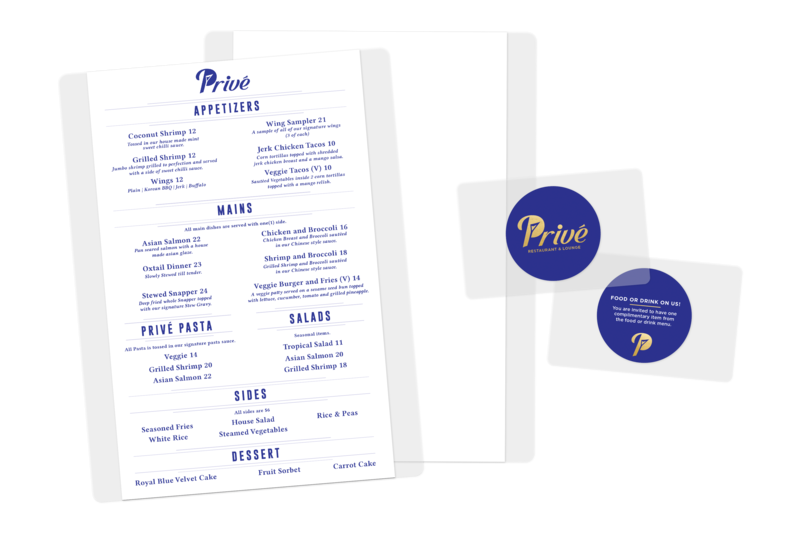 No problem, we utilize custom shapes to create a menu that will be brand consistent, professional and amaze your customers! 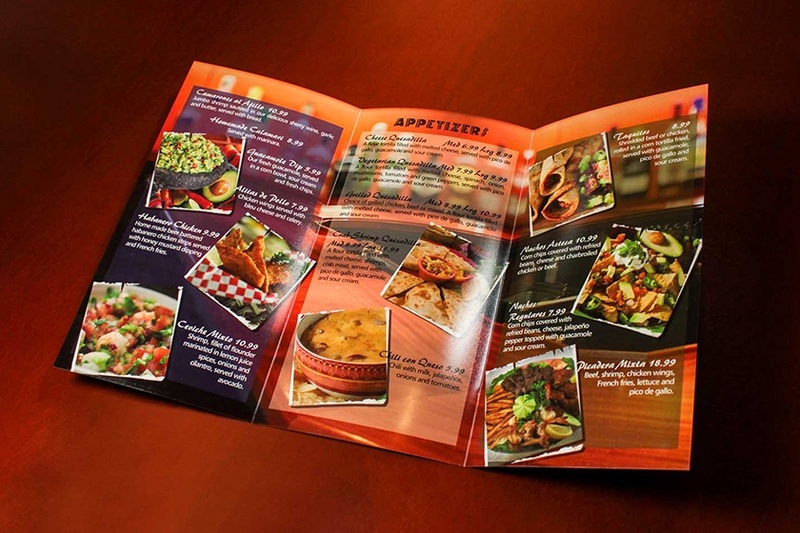 A tri-fold menu is a great option if you want to put a substantial amount of information on a smaller menu. 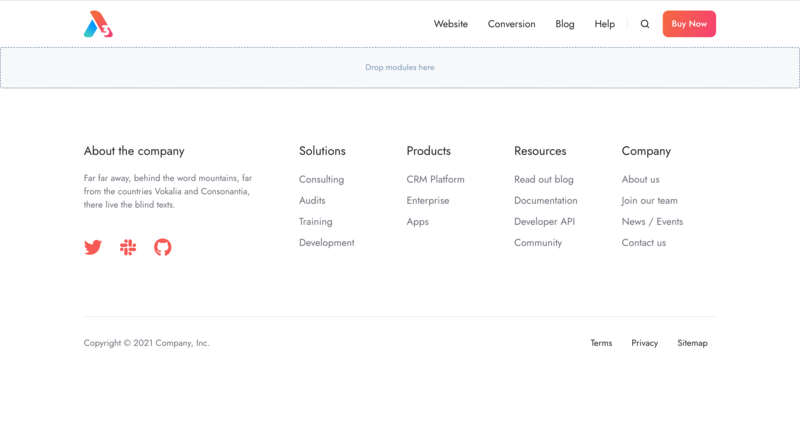 It has multiple panels allowing you to easily divide up your information into sections. 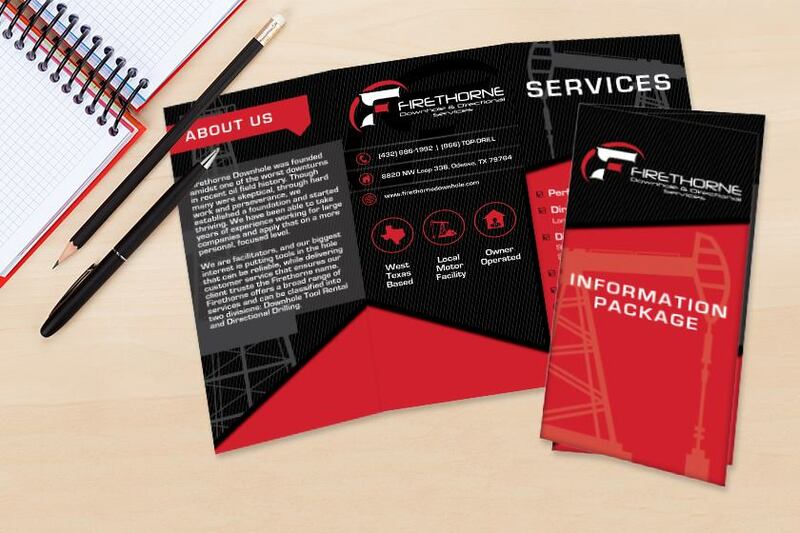 Leave your customers with a high-quality impression by creating a frosted or transparent look. 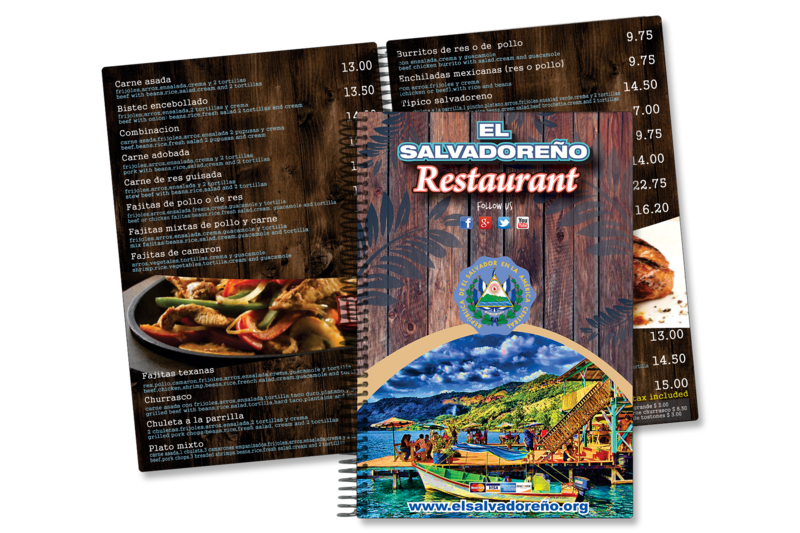 Your menu represents your business, so display your style with partial satin options, colored accents or a fully transparent menu. 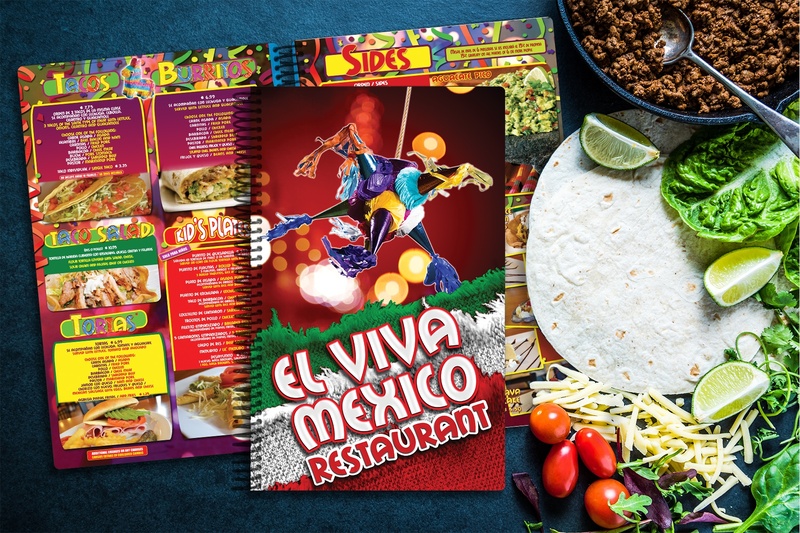 Spiral bound menus are perfect for showcasing artwork and splitting up your products onto separate pages. This type of binding allows the pages to turn easily and can accommodate a wide range of pages. 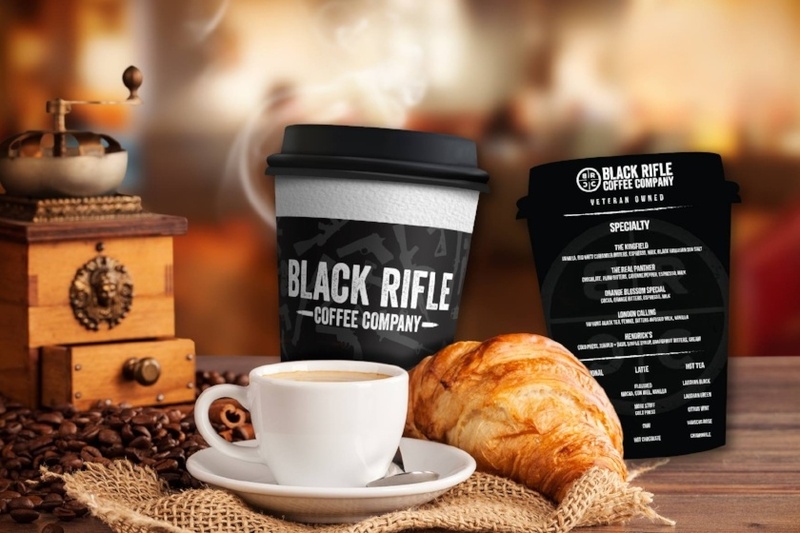 You can customize any of our plastic products to be as unique as your business, brand or event. 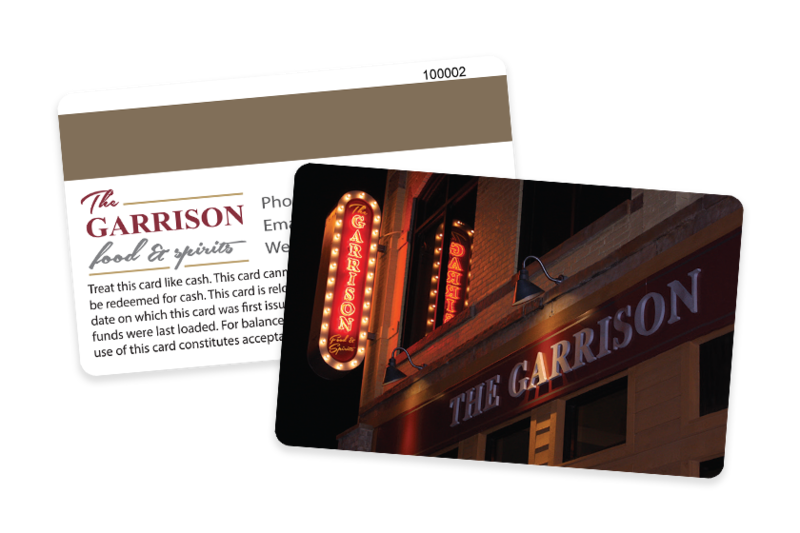 A majority of our clients pair their menus with loyalty cards, coasters, promo cards or gift cards. Providing incentives, discounts or rewards to your customers keeps them coming back and increase your revenue. We are here to help make your Loyalty Program a success! Coasters prevent your surfaces from being damaged while marketing your company and building brand recognition. 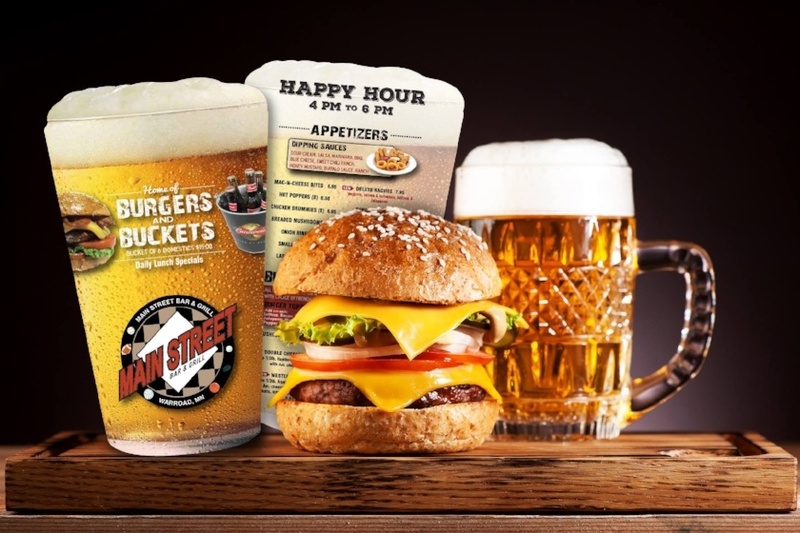 This high-visible promotional product is the perfect match to your plastic menu. 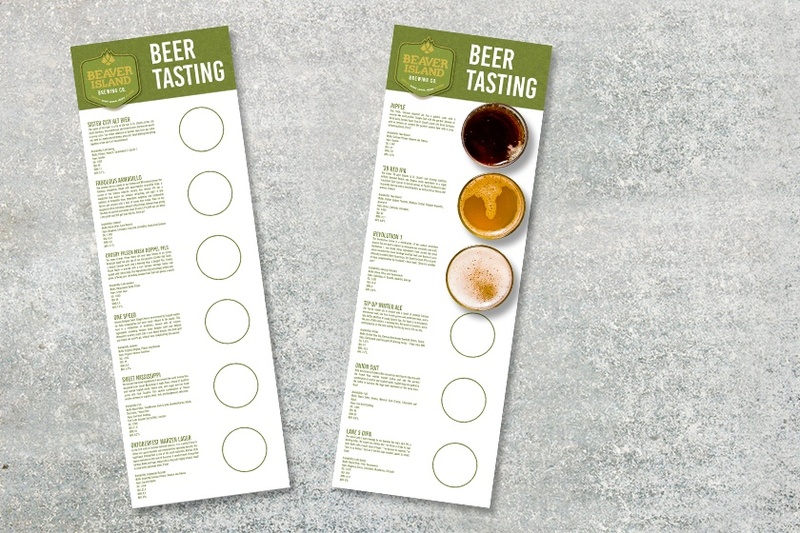 Give your customers a reason to sample your products or services by handing out promo cards. 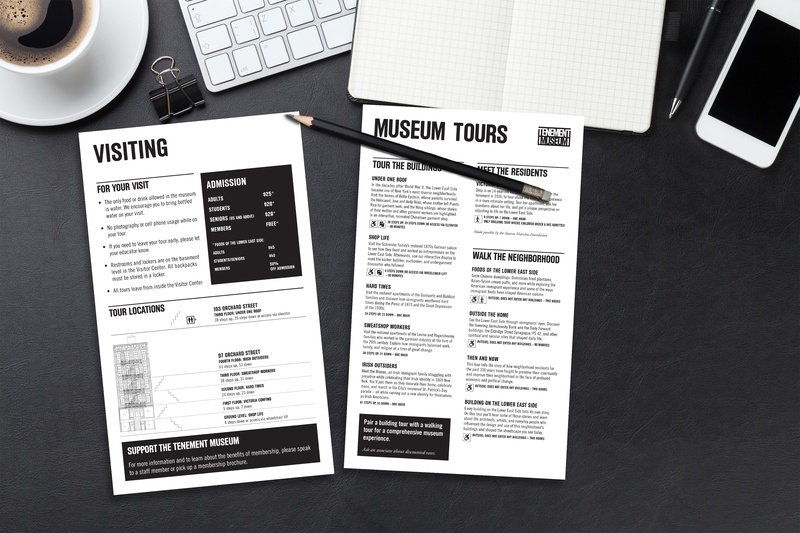 We can help you create a promotional piece that helps you attract, build and generate new business. 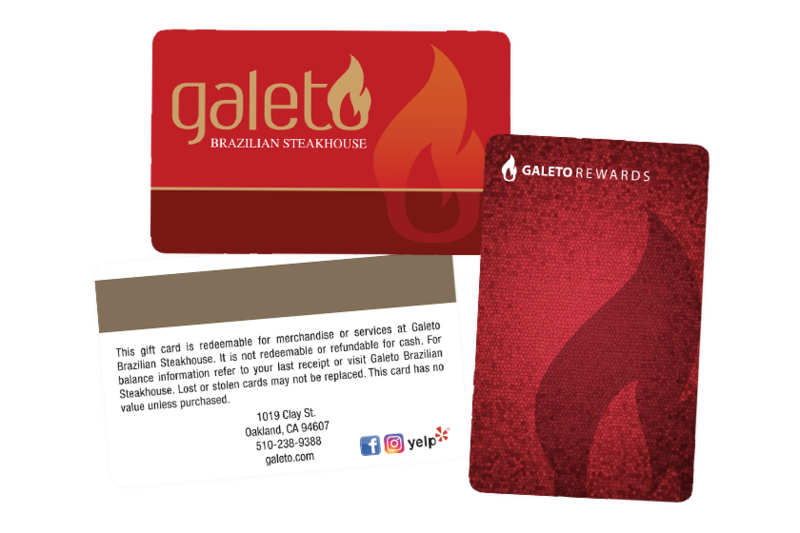 Gift cards have turned into an essential part of business as they guarantee that someone will spend money at your store. It's a simple idea that can offer large benefits to businesses of any size. 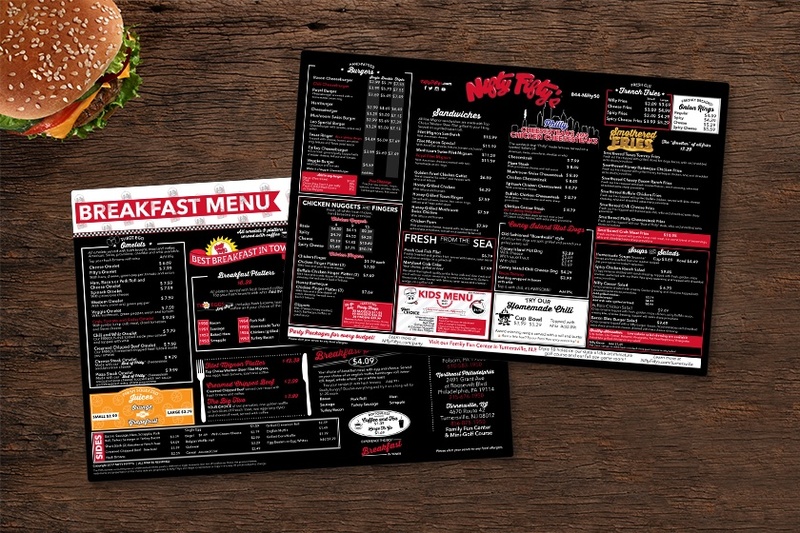 Let’s get started on your Menu Design.